Orig. MSRP $83,949... Great Deal $ 46,995! 2016 Ford F-350 4x4 Crew Cab Platinum Long Bed 6.7L Power Stroke Diesel Pickup Truck. 52,910 Low miles * Beautiful Bronze Fire Metallic Exterior * Classic Black Leather Interior * Navigation * Power Sunroof/Moonroof * Tow Package * Garage Kept * Phenomenal Cond. * Easy, Instant Financing! When a three-quarter-ton full-size pickup doesn’t quite do it, this 2016 F-350 Super Duty is designed to pull bigger trailers and haul heavier payloads.This hefty workhorse can do all that more efficiently with military-grade aluminum body panels and a high-strength steel chassis. This F-350 is equipped with the optional 6.7-liter Power Stroke Turbo Diesel V8 engine, 6-speed shiftable automatic & puts out 440 hp and 860 lb-ft of torque. Equipped with the standard hitch, this diesel is capable of towing 19,000 pounds.That number jumps to 26,500 pounds, however, with the fifth-wheel setup. Drivers of the current F-350 Super Duty remain impressed with power, performance, and perks, while this big Ford’s chief rivals include the GMC Sierra 3500 HD, Chevrolet's Silverado 3500 HD, and Ram’s 3500 full-size pickups. Chrome front and rear bumpers, Rear power sliding window with privacy glass and defroster, Foglamps, front tow hooks, pick up box tiedown hooks, powerscope Telescoping trailer tow mirrors, Removable Locking tailgate. 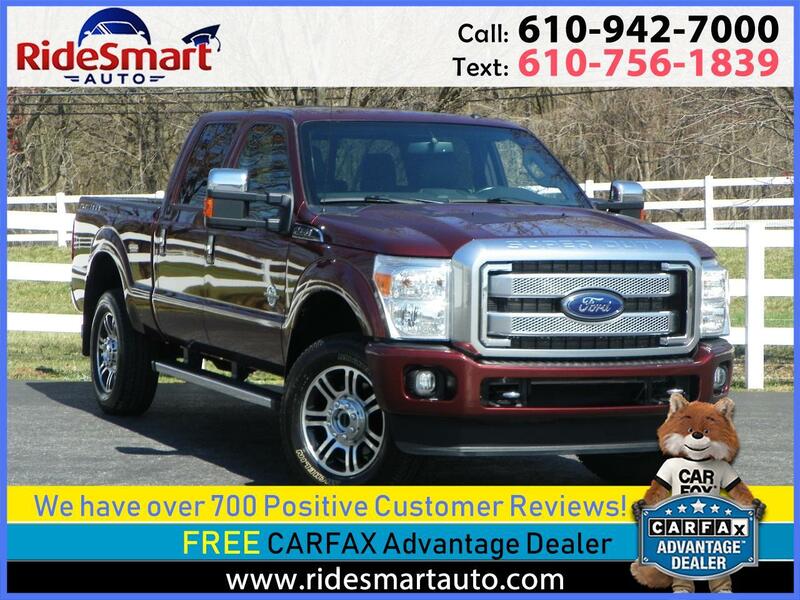 Overhead Consol, carpeting, Front Cooled & heated seats, Rear heated seats, SiriusXM satellite radio, Sony premium audio system, Sync voice activation, Universal garage door opener. Dual zone electronica air conditioning, ABS, power for a disc brakes, advanced security group, my forte touch, Mikey, power equipment group, reverse camera system, reverse sensing system, heavy-duty shocks, trailer brake controller, trailer tow package, ESOF 4x4 System. Driver and passenger airbags, passive antitheft system, adjustable safety belts, SOS post crash alert system. Warranty Description: Balance Transferable Factory Warranty.